We don’t typically dive too deep down the April Fool’s Day “news” rabbit hole here at MMOBomb — especially because about half of this year’s entries offer some lazy take on “We’re starting our own launcher with exclusive content.” OK, we get it, you don’t like the Epic Games Store, ha ha. 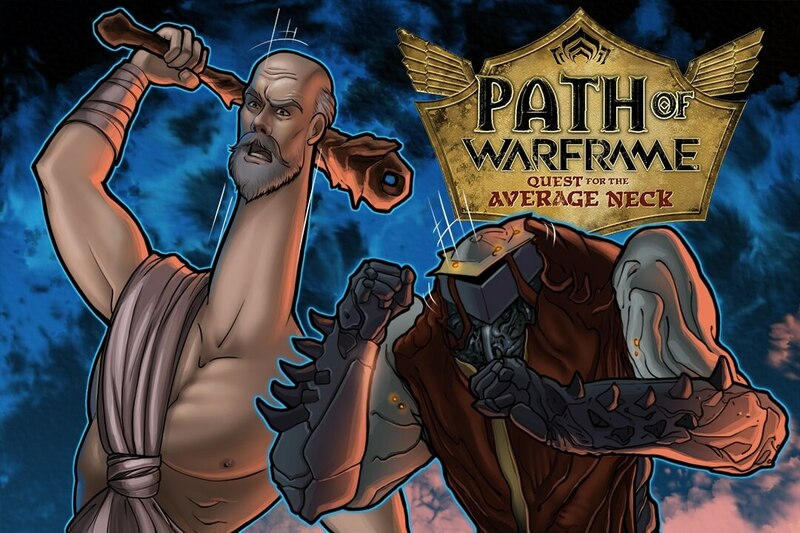 We're pleased to announce our @pathofexile game partnership, Path of Warframe: The Quest for the Average Neck! Announcing Path of Warframe: “Quest for the Average Neck,” a new collaboration between Grinding Gear Games and Digital Extremes that, just like their other expansions, “will be free to play but somehow steal your entire wallet.” In this “first-person top-down Action RPG hack-n-shooter,” you’ll find “loot, items, treasure, currency, loot, items, loot and M I C R O T R A N S A C T I O N S.” Patch notes indicate that v1 of Path of Warframe includes NvN (neck vs. neck) combat, 420 new cosmetic items, and a new game mode: Bug or Feature? As expected, PoWF will only be available on its own exclusive launcher (ha ha) “to add to your exclusive launcher collection,” which will offer new games in the year 902010. PoWF itself will be “Available alongside the next alignment of Mercury and Jupiter,” which, it turns out, is only about two years away. We’ll be checking back on Jan. 11, 2021 to see if the two companies meet their promised launch date. You can read the full announcement, along with the equally full patch notes on the Warframe or Path of Exile site.